A new supply system and a rework for BP, the PLAYERUNKNOWN'S BATTLEGROUNDS currency, arrived in the game Wednesday as part of PUBG PC Patch 21. In the new supply system, ​PUBG players can earn rewards by completing missions and simply by spending time playing the game. Players will be able to level up and earn rewards when they fill a Survival gauge with Survival experience. Missions will be refreshed daily and weekly. The @PUBG PC update #21 brings you a new weapon, a new vehicle for Sanhok, the laser sight attachment, Training Mode, and a ton more bug fixes and QOL improvements! Alongside adding the new Survival supply system to give players more opportunities for rewards, PUBG Corp has restructured the BP reward system. Instead of basing BP rewards solely on in-game placement, PUBG will now incorporate time played in how much BP it doles out to each player. Rewards have also been restructured to equalize the differences in BP efficiency based on playing time for each map and mode. 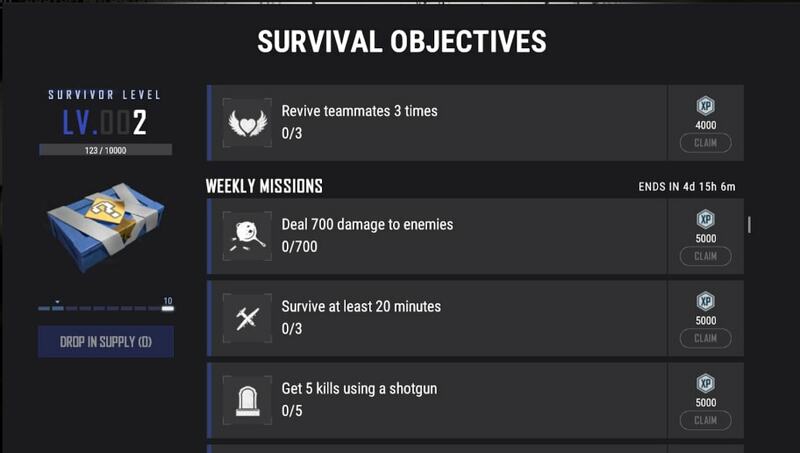 BP rewards will also be shared in squad games, eliminating the exploit to earn extra BP by playing squads alone. These changes arrived alongside the ​new Training Mode, the ​Mk47 Mutant assault rifle, and the ​Tukshai vehicle exclusive to Sanhok.